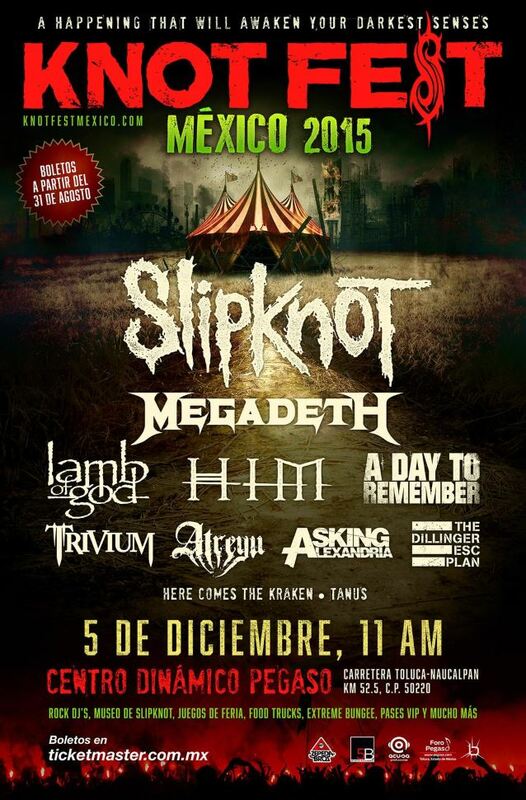 SLIPKNOT, MEGADETH and LAMB OF GOD are among the confirmed bands for the 2015 installment of the Mexican edition of SLIPKNOT's Knotfest, set to take place December 5 at the Foro Pegaso in Toluca, Mexico. For more information, visit KnotfestMexico.com. 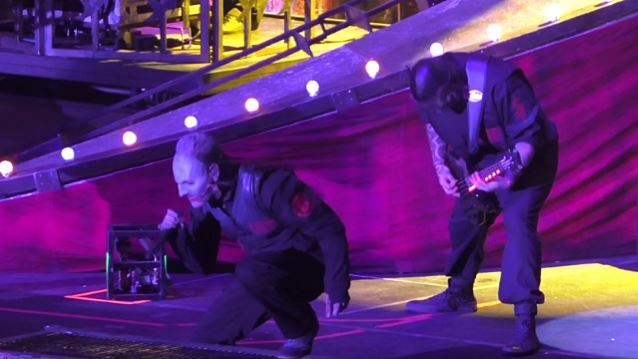 In a recent interview with MusikUniverse.mu, SLIPKNOT singer Corey Taylor stated about the possibility of Knotfest growing into a full-fleged traveling event: "There's been talk about it. My problem is that it's a little more than I wanna grow Knotfest right now. I wanted it to kind of grow in increments and slowly expand. I think if we turned Knotfest into a big tour, then we would lose a lot of the elements that make it so cool. It wouldn't be a two to three days anymore, it would be a one-day thing, and we wouldn't be able to bring out a lot of the elements that we like, like the carnivals and the museum and stuff. So it's definitely a conversation that's going on right now, that we're trying to figure out. But, you know, I mean, never say never. Let's see what happens." He added: "We're gonna continue to do the Knotfest shows. Right now we're trying to figure out how big to make them and how to expand it. My idea was to do maybe ten weekends in diferent places — maybe five in the U.S., a couple up in Canada, and maybe one down in Mexico City. Just try to expand it like that, so people get the actual experience of it, and you're not running yourself into the ground trying to chase something that it isn't. So that's what we're looking at right now."